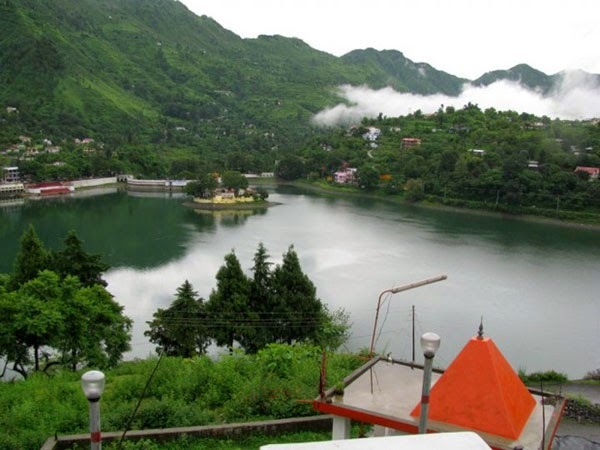 Bhimtal and its surrounding region in Uttarakhand have roots in the mythological stories of Ramayana. Tourists and pilgrims can witness many places mentioned in the religious books, which are still preserved along with the dense forests and the pristine lakes. Ancient temples in the region add to the serenity and sanctity of the place. Great combination of lakes surrounded by dense forests is the major tourist attraction of this destination. This combination of lakes and forests is the ideal environment for both wild animals and exclusive bird life. Wildlife in Bhimtal is prospering enormously in these areas, which provide them a shelter at the same time calm and quietness of the area surrounding the exotic lakes. Garg Parvat and Hidimba hills are the places where wild life is in abundance. Vankhandi ashram a wildlife sanctuary just two km from Bhimtal offers glimpses of wildlife of the region. The island amidst Bhimtal Lake and the Bhimeshwara temple, which is tucked on the banks of the Bhimtal Lake, is the home to many varieties of beautiful resident as well as migratory birds. Best time to spot some incredible bird life of the region is from February to April. The many silent lakes of Bhimtal offer a chance to spot variety of birds in the surrounding region. Among the wildlife to be spotted in this region langurs are on the top of the list. Further the dense forests of Bhimtal saturated with many varieties of wildlife are the real places to be explored by the tourists. Explore the treasures of wildlife of Bhimtal on your visit to this intriguing Himalayan destination, while roaming in the dense pine forests of the region. Some of the resorts like United-21 Resort located amidst the grandeur of nature offer exquisite opportunities to explore surrounding region and the wildlife of Bhimtal in a true sense. Situated at an altitude of 1370 meters, Bhimtal is a town which has always been considered as sacred by many people in India. The temples in Bhimtal are visited by several devotees and tourists every year, owing to their historical and mythological importance. Lakes of this region also attract many travelers coming from different parts of the world. The Bhimtal Lake is very popular among all of them, and offers boating opportunities to individuals visiting this region. 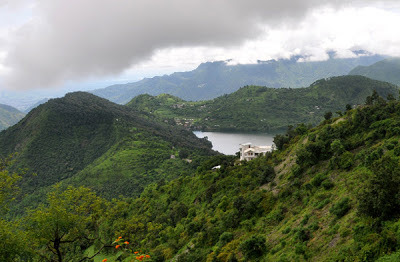 It is larger than the highly popular Naini Lake of Nainital District in which Bhimtal is located. 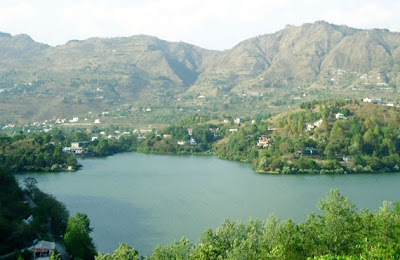 A small natural lake called Nal Damyanti Tal is located a couple of kilometers from Bhimtal. It is a popular picnic spot which gives a chance for tourists to watch big fishes moving about freely in the waters. Among the temples in Bhimtal is Bhimeshwara Temple, which is an ancient place of worship dedicated to Lord Shiva. It is believed to have been constructed by Bhim during ancient times, but the present structure was built by a king of Chand dynasty called Baz Bahadur in seventeenth century. Another great place of worship is Nag temple which is located on the hill of Karkotaka. Resorts and hotels of Bhimtal offer comfortable accommodations for all types of budgets. Even those who are looking for a budget resort in Bhimtal can find one that is best suited for their needs. Guests of all these hotels or resorts can have a wonderful time staying amidst dense valleys and mountains. Some of them are located near the lakes, which offer them amazing views from their rooms or suites. They can experience a great deal of tranquility, being surrounded by green natural landscapes. Tourists can also have loads of opportunities to indulge in their favorite adventure sports and sightseeing tours during their stay.